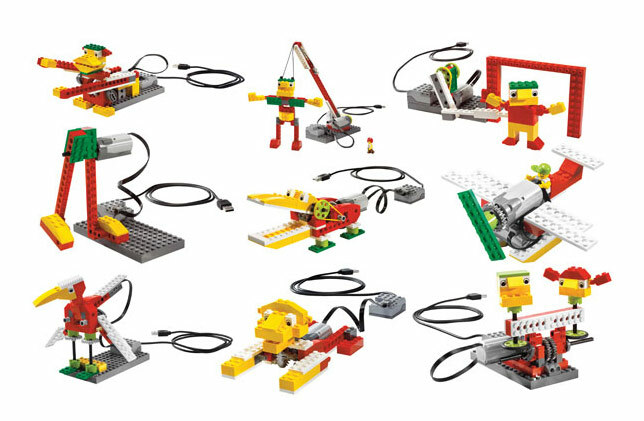 The new Lego WeDo kits look and build like your average Lego kits, with fun designs such as levers and pulleys to make parts movable and motors to move wheels and cogs. Well isn’t that that dandy, but that just makes it so the Lego creation can move; what’s so special about that? Well, the special part is that you can now program these unique pieces to do what you want them to do. The Scratch program uses easy to use drag and drop programming. You can control the pieces and have them act to turn your Lego creation into a full functioning robot. From this simple start, all kinds of robots and contraptions can be built such as alligators, ferris wheels or recorders. Lego has a history of simplifying major concepts such as architecture and engineering, and with Scratch, they have helped simplify programming. Now the two have combined forces to give robotics a turn at elementary levels. Robotics can now be introduced at younger ages without making little kids heads explode, and teachers do not need to be MIT graduates to teach it. Robots have sparked our imaginations in literature, movies, and other pop culture and are now being produced in factories as well. Robots have made huge advancements in the past decade, and business are now more willing to invest in them boosting their market value and increased robotics study in universities. With all this press, robotics looks very attractive, but where do you start? It’s not an activity that kids and their parents can just throw together on a bright summer evening for bonding, or is it? Now with Lego, kids and their parents can try out robotics without investing too much money for sensors and circuits; they can pick up these beauties to get quickly started and learn the basics while having fun. Lego has also included curricula for classes using the WeDo to help provide additional resources for teachers. WeDo has also been used to provide assistance for a whole variety of subjects aside from robotics such as team building exercises, mathematics, science investigation, even language and literacy through building recording devices. This opens up a whole slew of educational opportunities and more hands on activities to help kids learn. Lego has given us a great and innovative tool.